As the founder of Art & Soul in Montreal, Quebec, I am a professional artist and educator with over 25 years of experience. I offer individual and small group art lessons as well as themed art parties for birthdays, holidays, and family outings. Does your child demonstrate a budding artistic ability? Would you like to increase your child’s confidence, develop his/her artistic expression, and encourage a love of learning? Children will learn about familiar artists - including Picasso, Pollock, Georgia O’Keefe - while exploring techniques and the creative process. I believe that every child has a unique artistic expression waiting to be discovered and developed. Through inspiring visual art projects, children will create their own works of art, while learning new methods of perceiving the world around them. This art enrichment program fosters improved multicultural understanding, the development of a higher order of thinking skills, creativity, problem-solving, and risk-taking. Art provides a bridge to other areas of the school curriculum and complements learning. 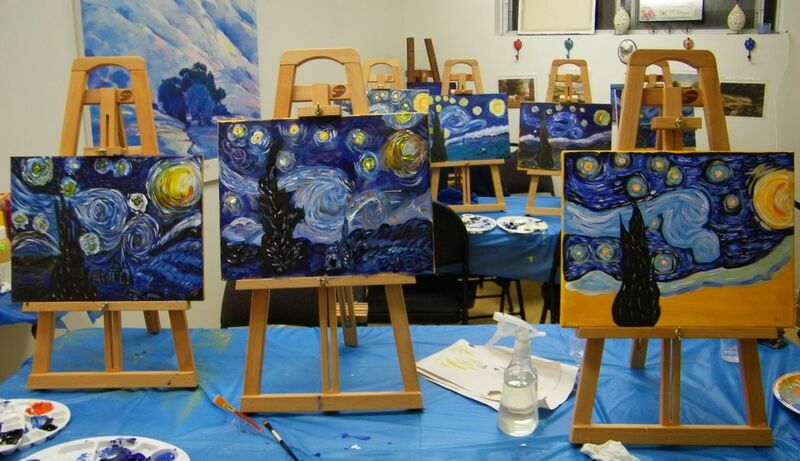 Paint and Sip Art Parties and Classes ~ Uncork your inner Picasso! Individual or small group instruction also available.